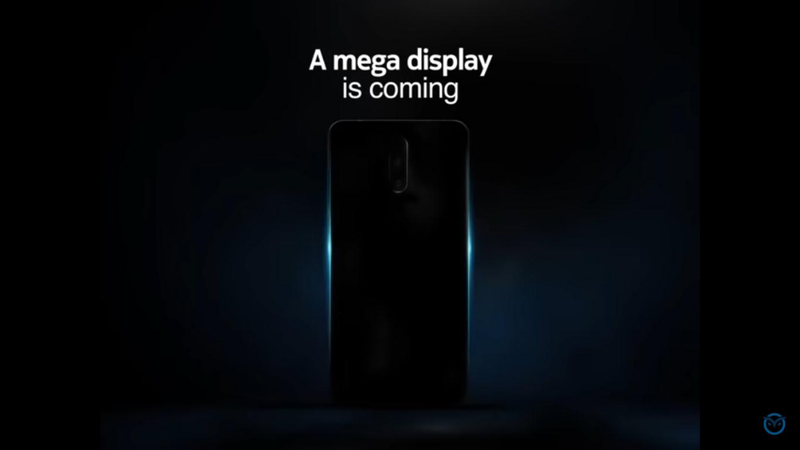 Recently HMD Global has unveiled a brand new mid-range smartphone called the Nokia 7.1, and we have already reported that the company is preparing to launch another smartphone dubbed the Nokia 7.1 Plus which is expected to debut next week (October 16) in China. 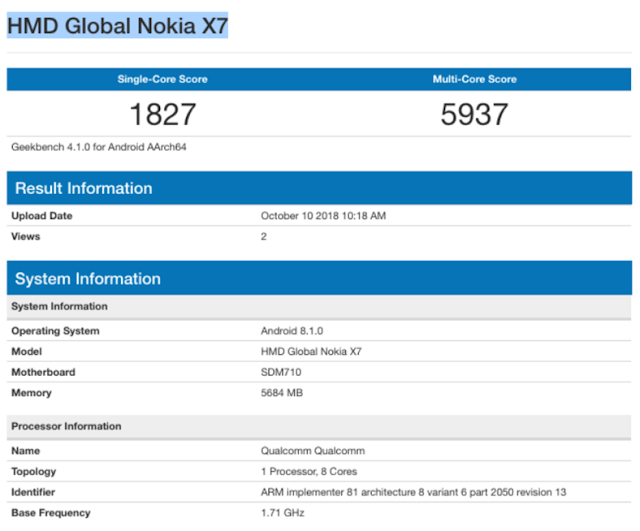 Now today the Nokia 7.1 Plus has been spotted on Geekbench under the model name HMD Global Nokia X7 revealing its key specifications. 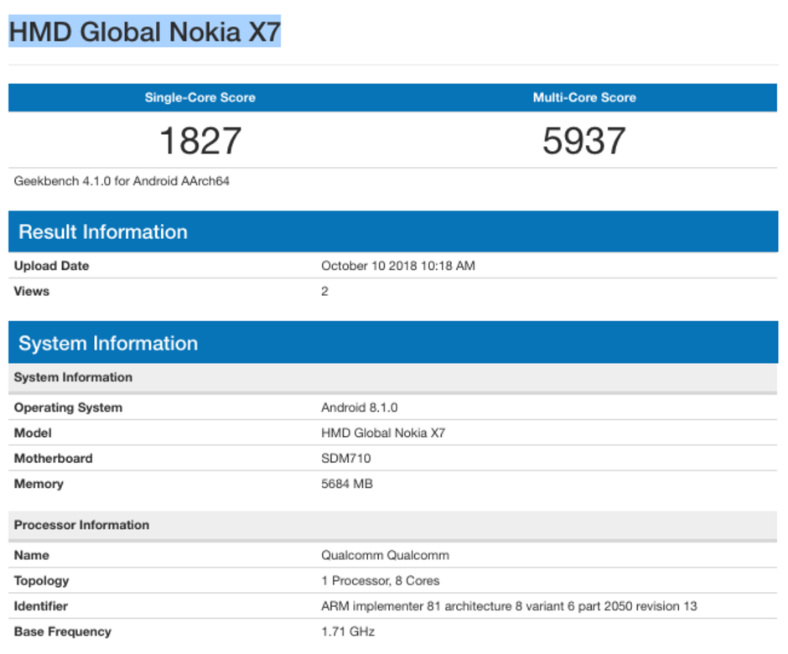 From the Geekbench listing the Nokia 7.1 Plus has achieved 1827 points on the single-core test and 5937 on the multi-core test which seems quite impressive for a mid range smartphone. The listing further revealed that the device will be powered by an octa-core Snapdragon 710 processor coupled with 6GB of RAM and it is rumored to have a 128GB of internal storage. The smartphone will run on Android 8.1 Oreo and it is speculated that the latest Android 9 Pie will likely be updated to the smartphone by the end of the year. Recently leaked TENAA listing has revealed that the Nokia 7.1 Plus will be dubbed as Nokia X7 in China and it will feature a 6.18-inch display with a resolution 2246 x 1080 pixel. There will be a new ZEISS-branded dual cameras on its back with a 12MP main sensor and a 13MP secondary sensor, while on the front there will be a 20MP camera for selfies. The device is expected to be packed with 3400mAh battery which seems smaller than the Nokia 7 Plus that has a 3,800mAh battery.